Well, Isn't That a Special Use? Navigating the Special Use Permit Process in North Carolina - Ward and Smith, P.A. North Carolina statutes provide that cities and counties may issue special use permits in accordance with the principles, conditions, safeguards, and procedures specified in their zoning regulations. A special use permit will allow an owner to develop its property for a use that could otherwise be considered harmful in some zoning districts, thus requiring a detailed review by the governing board to ensure such projects are carefully designed to minimize the impact on surrounding properties. Some local governments even require a special use permit for all new development. The proposed use will be in harmony with the area in which it is located and otherwise be in general conformity with the local government's comprehensive plan. Some ordinances will also address the statutory right of the local government to impose "reasonable and appropriate conditions and safeguards" on the permit. A special use permit ordinance may provide that the permit will be granted by the planning board, the board of adjustment, or the governing board. After a developer submits an application for a special use permit, the application will generally go through a staff review (often "technical review committees") and may also go through a planning board review (provided the planning board is not the permit-issuing authority). North Carolina law requires a local government to notice a public hearing on a special use permit application at least 10 days, but not more than 25 days, prior to the public hearing. 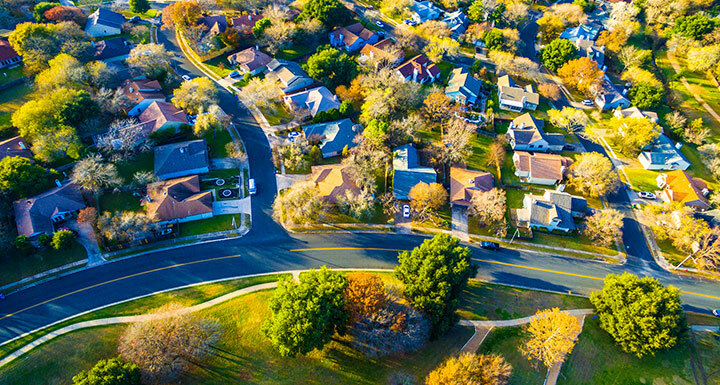 Notices must be mailed to the applicant, the owner of the property if not the applicant, the owners of all property abutting the subject property, and anyone else entitled to receive notice under the zoning ordinance. The law requires that special use permit hearings are quasi-judicial proceedings. This essentially means that the permit-issuing authority must hold a proceeding that resembles a court proceeding, and must base its decision solely on competent evidence presented by the applicant and others who are entitled to participate in the public hearing. Anyone providing testimony must be sworn in prior to testifying. Additionally, members of the permit-issuing authority may not gather their own evidence prior to the hearing and members who have undisclosed ex parte communications regarding the matter or have a "fixed opinion prior to hearing the matter that is not susceptible to change" must recuse themselves. An attorney to corral the other professionals and ensure the applicant complies with the requirements of the special use ordinance. My name is Joe Appraiser, and I am an MAI certified appraiser with 20 years' experience appraising similar projects in this area. I have reviewed the project as proposed and it is in harmony with the property uses and architecture in the area and it will not reduce the values of properties in the area. Here is my written report. If unchallenged (or challenged by incompetent evidence), such a presentation by the appraiser may be enough for the board to vote that the standard has been met. The problem with this "cookie cutter" appraiser testimony is that permit-issuing authorities may grow weary of seeing report after report issued by the same appraiser for different projects with only the names, addresses, and site plans changed. Often, owners of residential properties located near the proposed project will "testify" at public hearings with vague, unsupported accusations of negative impact on their property values. However, if property owners opposing the development do present testimony at the hearing from their own qualified appraisers showing that the owners' properties are worth more without the project than with it, a developer may regret not having its appraiser present more detailed testimony that addresses adjacent property values pre- and post-project. If allowed by the ordinance, a permit-issuing authority may require that "reasonable and appropriate conditions" be placed on the permit, so long as those conditions, in addition to being reasonable and appropriate, address the standards in the ordinance and are supported by evidence gathered at the hearing. Such conditions may include interconnectivity requirements, construction of sidewalks, low-impact development storm water facilities, and other requirements that ensure a carefully designed project that meets both the requirements and the spirit of the ordinance. Like all quasi-judicial proceedings, the permit-issuing authority must reduce its decision to writing. Boards generally solicit motions from its members on each of the standards (detailing why the board believes each standard has been met), followed by a separate board vote on whether or not each standard has been met. A majority vote in favor of each standard means the permit is issued; a failed vote on any one standard means the permit is denied. In either case, the board must reduce its decision to a writing reflecting the board's determination of the contested facts and deliver the same to the applicant within a reasonable time. Final decisions on special use permit applications may be appealed to superior court within thirty days after the written decision is delivered to the applicant. An appeal may be filed by the applicant or owner (in the event the permit is denied, or if it feels unreasonable or inappropriate conditions have been attached to the permit), or by "any other person who will suffer special damages as the result of the decision." Such "other person" may include an adjacent property owner who presented competent evidence that his property or its value would be injured by the proposed project but the permit was nonetheless issued. Navigating the special use permit process may appear overwhelming to a property owner seeking to maximize the development of its property, but being familiar with the process will go a long way to ensure a successful development. A developer willing to align itself with qualified professionals and to work with local government staff to present a development that will exist in harmony with adjacent property owners will find the process is not as tough as it may first appear. © 2019 Ward and Smith, P.A. For further information regarding the issues described above, please contact Clifford P. Parson. Commercial Real Estate Sellers: Hire Your Own Attorney!